Designed for use in rearing-sheds, piggeries, greeenhouse etc. where an undetected critical change in temperature could prove catastrophic. 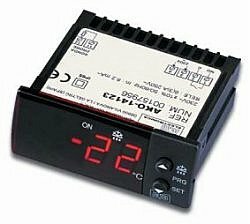 The system incorporates a digital temperature module with a separate wired sensor. The module is extremely versatile, with a host of programming options for maximum flexibility. The threshold temperature can be adjusted from -50 to 99 celcius, and the unit can be set to alarm on over-temperature or under-temperature. Incase the temperature problem is due to power-failure, this system incorporates a 12V battery backup, which is kept continually trickle-charged by the mains, and takes over when the mains fails. 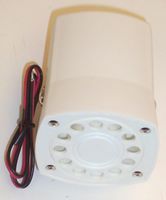 The external 115-decibel siren will continue to sound either until the temperature returns to a healthy level, or the unit is manually reset.